Oh Oxford, I don’t even know where to begin! Such a magical place, even in the rain. Exactly as I imagined and a little bit more! We took the train from Paddington Station Wednesday morning and the train ride was around 1 hour. Actually not hard at all finding the right platform and when we arrived it was a short 10 minutes walk into the city center (15-20 for us, since I couldn’t read Google Maps correctly). Our first stop was Turl Street Kitchen for some avocado toast and warm coffee, hiding from the rain, before meeting our wonderful guide Hayley Spore from ExperienceOxfordshire. 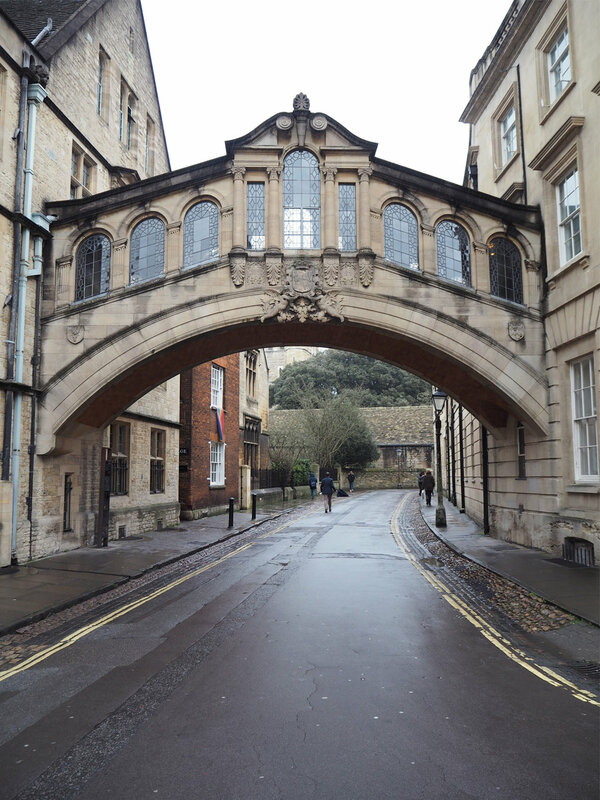 We were guided around for about one hour while being told everything there is to know about Oxford. And even though it rained and was a bit gloomy in the beginning, it was still so beautiful everywhere. Oxford is a very diverse and historic city, combined of medieval lanes, wide boulevards of Georgian houses and old, characteristic buildings. A little like taken out of a fairy tale. We saw colleges, libraries, Harry Potter locations, a 150 year old bookstore, the very lamp post that inspired C.S. Lewis and the golden fawn that was the model for Mr Tumnus in Narnia, and so much more. And of course stopped a thousand times for pictures. Afterwards food was very much needed and we had a reservations at Gee's Restaurant. 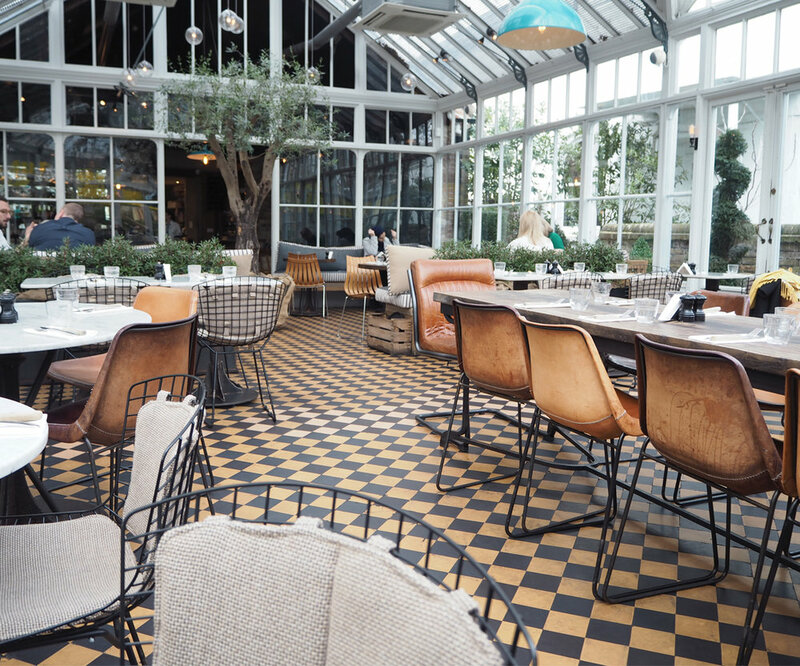 It is about a 10 minutes walk from the main street and is located in beautiful Victorian glasshouse, filled with trees and plants, and the kitchen features a wood fire oven and charcoal grill. It is a favorite with locals, and it is easy to understand why. We ordered everything from pizza, potatoes, soup and fish to tea, wine, coke and you name it! And it was all just so yummy. 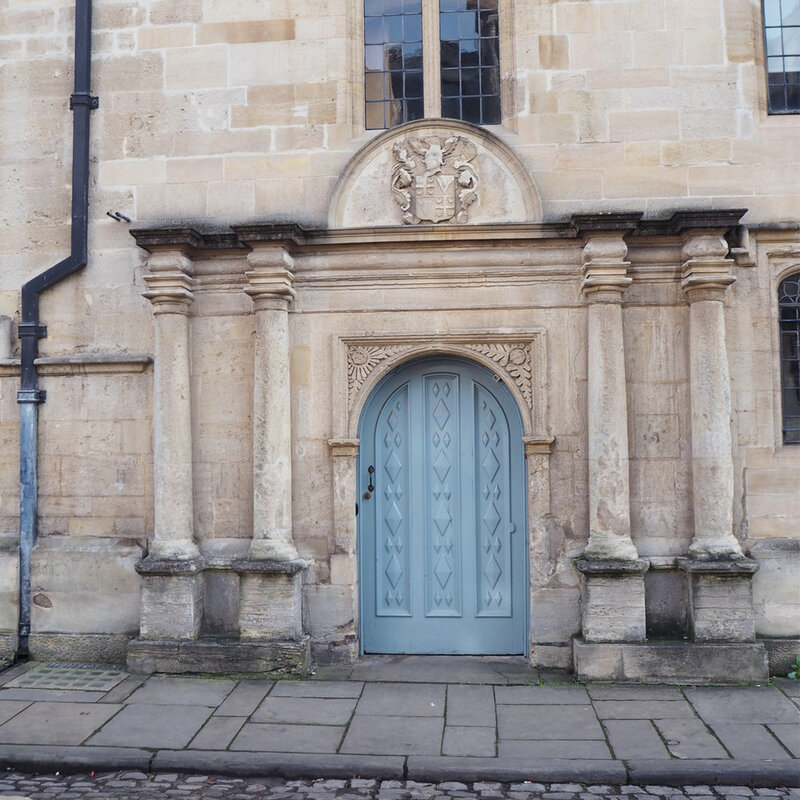 I warmly recommend this place if you ever are in Oxford, and can imagine it must be beautiful at night too. 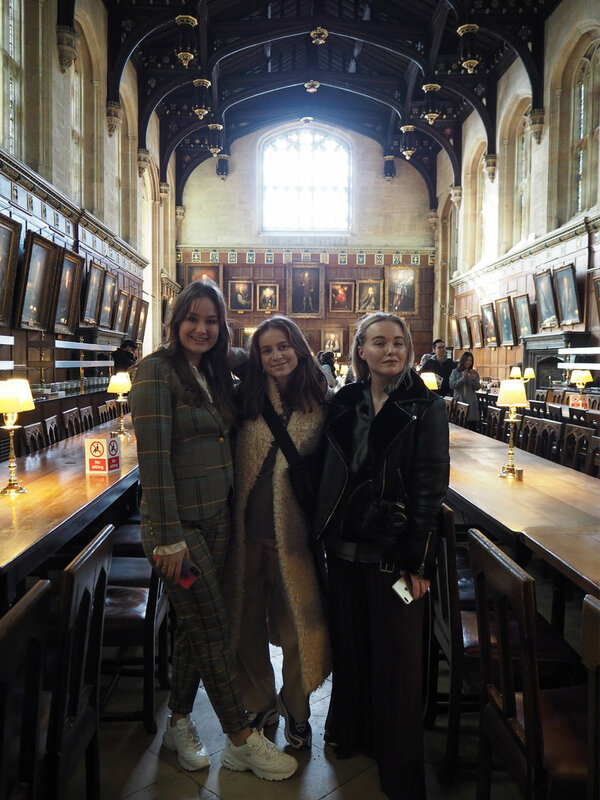 After having refilled our tummies, we headed off to Christ Church College, founded already in 1546, and who have taught notable people such as John Locke and Lewis Carroll!. Also, and in my opinion the best part; this is where you find the grand dining hall from Harry Potter, and the famous staircase from when Harry first arrives to Hogwarts (#nerdalert). Milana, Emilie & Emilia. Can you imagine the students actually dining here in real life? Afterwards the sun showed and we simply strolled around, while having “a few” photoshoot stops along the way. 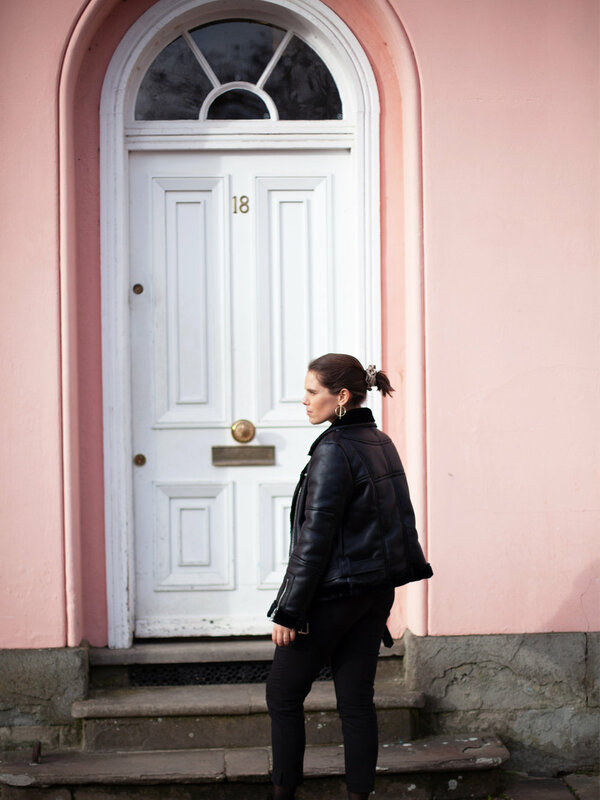 Not the typical tourists, posing in front of houses and in the streets, changing outfits and all, but what can you do when you find the most colorful street in the whole of Oxford? At 16:00 we had a traditional afternoon tea booked at the Old Parsonage and having never tried afternoon tea before I was pretty excited. The place had a beautiful garden, but sadly it was to cold to sit outside. That didn’t stop us from having it all carried out for pictures and then carried inside to eat though (don’t t always believe what you see on social media peeps). Nevertheless, inside they had a lovely fireplace and I think I ate more scones and jam that I have ever done in my entire life. So damn delicious. 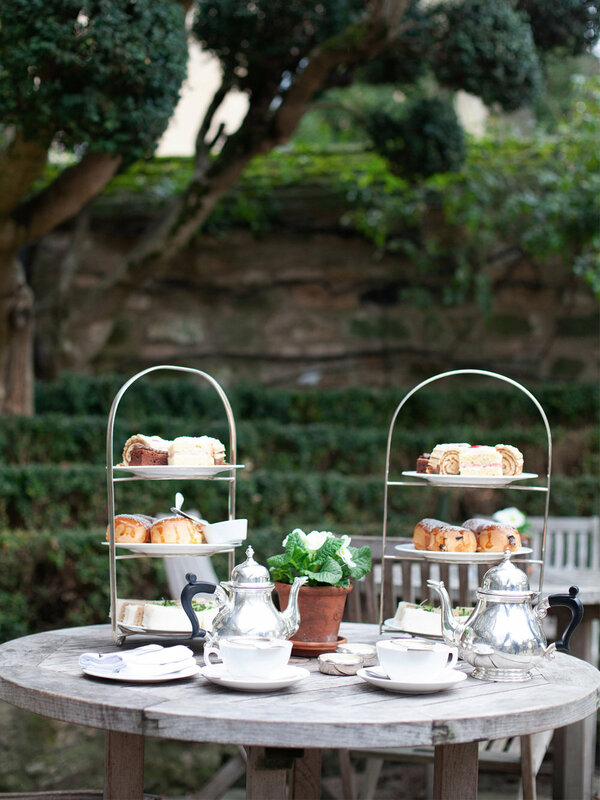 The classic way to enjoy an afternoon tea however is not to just throw yourself over the scones, but start at the bottom with the finger sandwiches, followed by scones with clotted cream and jam, and finished off with lots of sweets. And of course a with a cup of warm tea on the side. Let’s just say I rolled out of there, I was so full. Which made our last stop a bit unfortunate. We had a dinner reservation at Malmaison, a old prison turned into a restaurant. It was a very cool place, you could actually see the old sells and it really looked like an old prison form the outside. The food was OK, again I was so full I couldn’t get much more in, but the service was excellent. We ended the night at Westgate, a shopping mall next to the restaurant, while waiting for our train to take us back to London. Cameras filled with tons of beautiful pictures, our tummies with wonderful food and a day going into the memory book for sure.